The Great Hall is one of the most interesting buildings to visit in Winchester as it has an incredible history and is the last remnant of Winchester Castle. Winchester had a castle since the eleventh century, when it was built for William the Conqueror in 1067 as a defensive stronghold. A royal palace was also added soon afterwards. These buildings needed repair in King John’s reign and so the Great Hall that stands today was built by Henry III between 1222 and 1235. Winchester was an important royal and administrative centre in the medieval period and the castle was a focus for this. 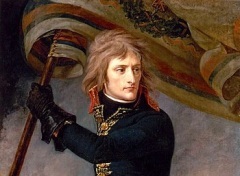 The Treasury and the Exchequer were both based there and monarchs spent a great deal of time at the palace. Empress Matilda’s army was besieged by King Stephen at the castle in 1141, Henry III was born there in 1207 and Edward I and his wife, Margaret of France were nearly killed by fire at the palace in 1302. 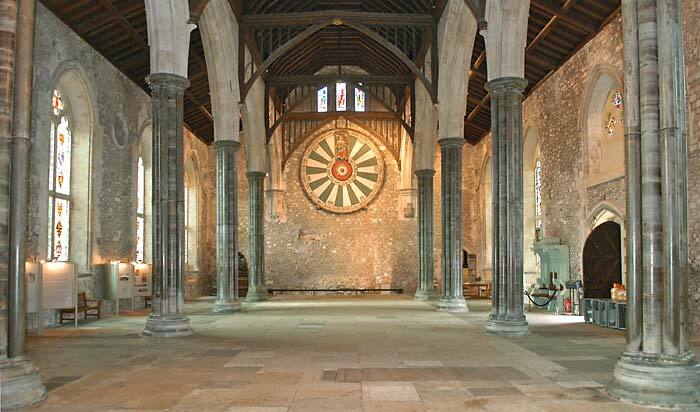 During the later medieval period Winchester lost significance as London became the centre of government, however the Great Hall was still an important location for court business. The Castle was captured by Parliamentary forces in 1646 and was demolished by Oliver Cromwell. The Great Hall was spared from this fate as it was useful for assemblies and the County Assizes. After the Restoration, Charles II planned to rebuild the palace as the King’s House, designed by Christopher Wren. However the plans were abandoned by James II. In 1900 a new King’s House was built with the same design, and now the buildings contain private flats and Winchester’s Military Museums. 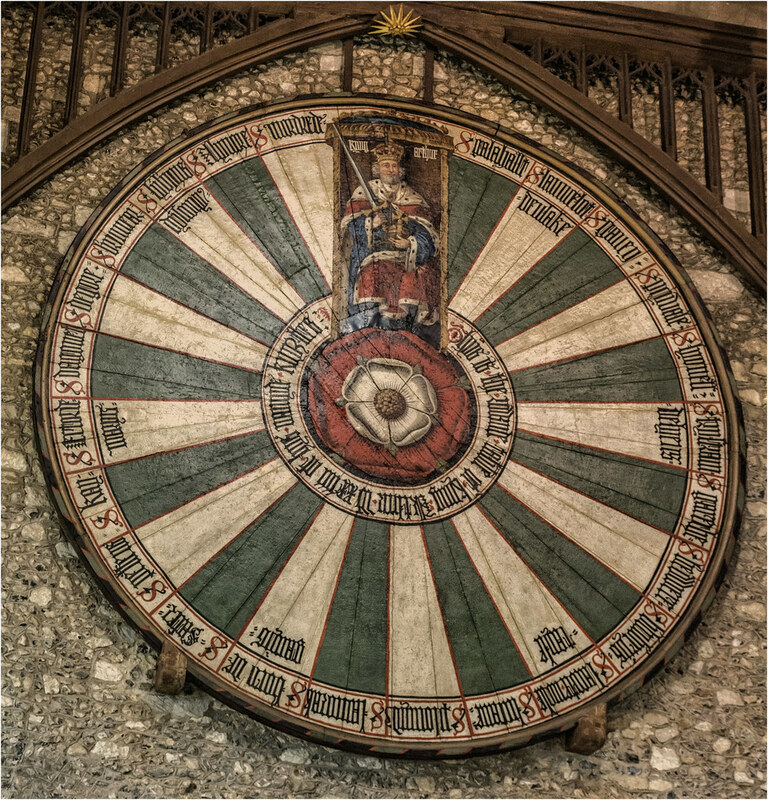 The painted round table that hangs on the wall encapsulates the legend of King Arthur and was said to be the table that he and his knights used. However the table was actually created around 1290 to celebrate the betrothal of one of King Edward I’s daughters. Henry VIII then had it painted with a Tudor rose in the sixteenth century. The round table hanging on the wall today began as a standing table with 12 legs and a central support. It was built from English oak and weighs 1200kg. It is not known how it was used or displayed originally, but it is thought that it has been hung on the wall of the great Hall since at least 1540. This was probably the point when the table was painted to portray Henry VIII as King Arthur on his throne, with the Tudor rose and 24 spaces for the Knights of the Round Table. The Great Hall now contains a small but brilliant exhibition, showing the history of the castle and hall. Outside the hall is a recreation of a medieval garden, Queen Eleanor’s Garden, named after Queen Eleanor of Provence and her daughter-in-law Queen Eleanor of Castile, who may have used the garden. The Hall also contains several monuments, including a bronze statue of Queen Victoria and two enormous stainless steel gates, designed by Antony Robinson to commemorate the Royal Wedding Charles and Diana in 1981. Very nice! I see they are going back to their Celtic roots through Arthurian Legends. I love the early gothic architecture. That is a place that I would like to visit.